Boom! 3-Star Offensive Guard Kamaar Bell Picks Auburn! Man did Auburn need this one. 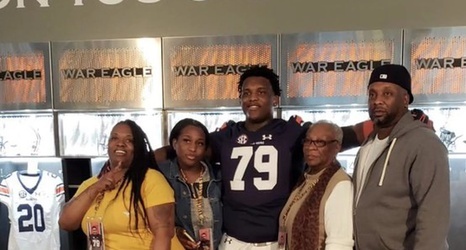 As has been hashed out over and over again, Auburn’s struggles to recruit prep offensive line talent has been beyond frustrating. The Tigers have two outstanding OL prospects already signed but honestly need at least four in this class to make up for small numbers in previous cycles. Last night, it looked like maybe that wasn’t going to happen and Auburn would again sign a 2 man OL class. But Auburn just got some huge news as 3* OG Kamaar Bell announced today he plans to sign with the Tigers.